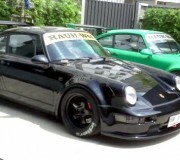 Browsing articles tagged with " Thailand"
Nakai-san jast finshed two more RWB964 in Thailand based from 964 Porsche 911. World famous Porsche Tuner RAUH-Welt Begriff (RWB) is building another 964 chassis Porsche 911 in Thailand. 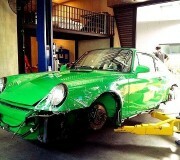 RWB cars are usually waited for the finished project, and this one will be Signal Green.